A new United Nations’ scientific panel on climate change paints a dire picture, writes Coral Davenport in the New York Times. The report, issued on Monday by the Intergovernmental Panel on Climate Change (IPCC), minces few words, describing “a world of worsening food shortages and wildfires” resulting from continued climate change. 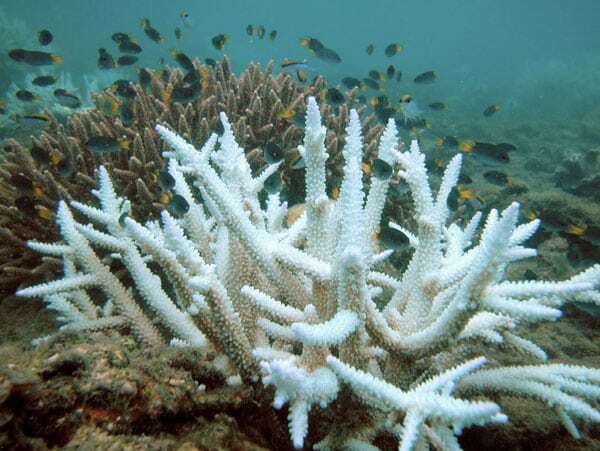 The report also indicates that, given current trends, a mass “die-off” of coral reefs by 2040 is highly likely. By 2050, the report calls for a total or near-total phaseout of the burning of coal. A total of 91 scientists from 40 countries participated in the writing and editing of the report. Their work was based on the analysis of more than 6,000 scientific studies. Peer review involved “tens of thousands” of comments, add Mooney and Dennis. As the report outlines, human activities have already caused warming of about 1.8 degrees Fahrenheit, or one degree Celsius, since the burning of coal first became widespread in the 1850s. The report authors contend that while it is technically possible to avoid reaching 2.7 degrees of warming, it would be politically difficult to do so. “For instance,” explains Davenport, “the report says that heavy taxes or prices on carbon dioxide emissions—perhaps as high as $27,000 per ton by 2100—would be required.”At the current rate of warming, the IPCC estimates that temperatures could rise 2.7 degrees Fahrenheit (1.5 degrees Celsius) above preindustrial levels by 2040, “inundating coastlines and intensifying droughts and poverty,” writes Davenport. Avoiding the most serious damage requires transforming the world economy within just a few years. The report authors estimate that the monetary value of damages will total $54 trillion if the world reaches temperatures that are 1.5 degrees Celsius above pre-industrial levels. “Absent aggressive action, many effects once expected only several decades in the future will arrive by 2040,” notes Davenport, citing the report.